There have been some super fun launches though in the past few weeks that I was really excited about and thought they were simply too good not to share with you all! 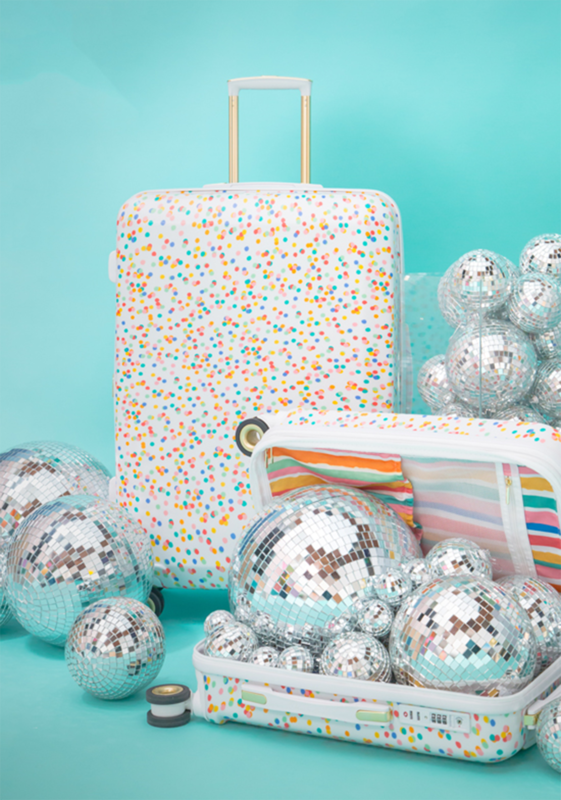 Tell me these suitcases are the cutest thing you've ever seen. They come in another sunset pattern that I can't get over either. They also made this adorable hat box that I'm dying for even though I have zero plans for trips in the near future! The best part is they are super affordable and you know you're really getting a quality suitcase with Calpak. I just can't get over them!! 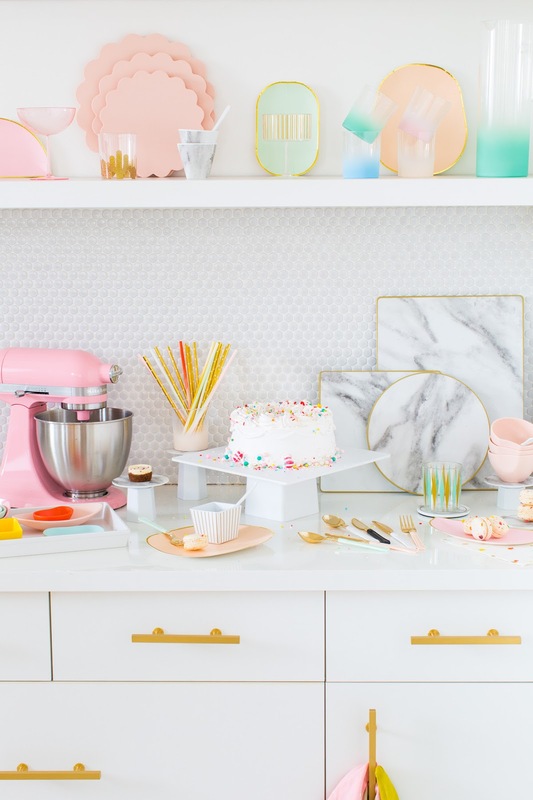 I wish I had some sort of reason to plan a big party in my future because I would no doubt be ordering things from Sugar & Cloth's new line! The whole line is available on Amazon and I think my favorites are these blush scalloped serving plates and this set of pink plastic silverware. All of it would be perfect for a birthday party, a baby shower, or even a Valentine's Day party! At this point, I think everyone is aware of my infinite love for everything Evelyn Henson does. I have numerous of prints hung up all over my apartment and now I'm convinced I need these new pjs. 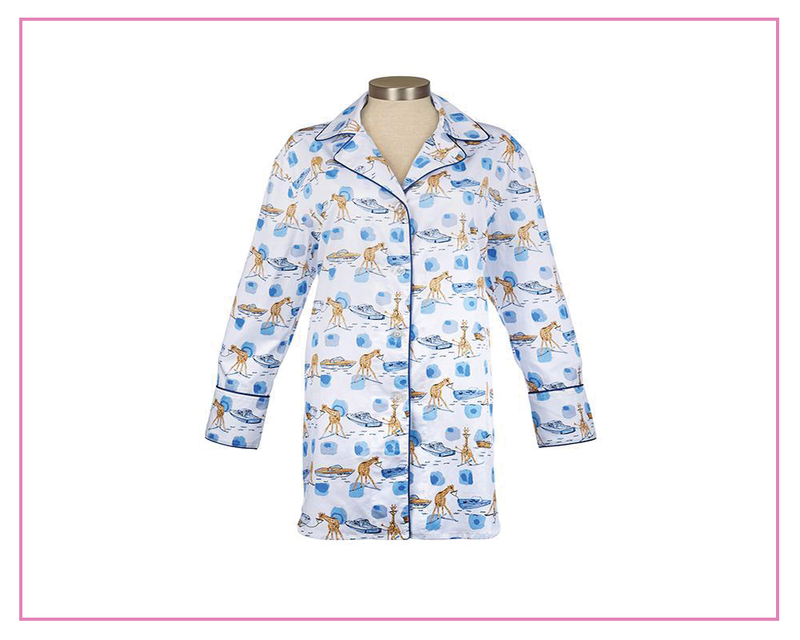 Evelyn and Toss Designs teamed up to create adorable pajamas in two different prints by Evelyn! While I love this sleep shirt, I also love the shorts (1 / 2). While this isn't exactly a whole new project line, Grey Malin did recently launch a new collection of photographs from Santa Barbara and it may be one of my favorites to date. I love how playful it is and it doesn't hurt that there's pops of pink in almost every photo! I think this one is my favorite but this one is a very close second. What new product lines have been on your radar?! I am so late to the Evelyn Henson party! I just discovered her through my friend who manages a Toss store. I’m so excited, I’m picking up some pajamas today! They are so cute! 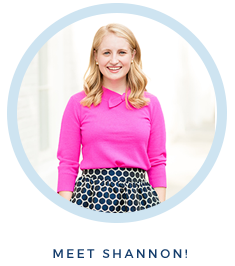 Oh my gosh, those Evelyn Henson pajamas are too cute! Definitely on my wishlist!